You purchased a Roku, but now you have to get it up and running. Whether you have a Roku Box, Streaming Stick, or TV, the basic process is the same, and easy. Connect the Roku Box or Streaming Stick to your TV using HDMI, or turn on your Roku TV. If you have a 4K-enabled Roku Streaming Stick or Box, such as a Streaming Stick+, Roku 4, Premiere, Premiere+, or Ultra, make sure you connect the stick or box to an HDMI port that's HDCP 2.2 compatible; there should be a label on the input. This is especially important for compatibility with HDR-encoded content. Whether you have a 4K-enabled Roku stick, box, or TV, make sure you have access to internet speeds that support 4K. If you have a Roku 1 or Express Plus, you have the option of connecting a Roku box to a TV using composite video and analog audio connections. However, this should only be used for analog TVs. Put batteries in your remote control and plug your Roku TV, stick, or box into power with the provided power adapter or cord. Roku streaming sticks provide the option to use USB power. However, if your TV doesn't have a USB port, use the power adapter. Even if your TV does have a USB port, it's typically better to use the power adapter. Turn on your Roku TV or the TV your Roku Streaming Stick or Box is connected to. The first thing you'll see is the Roku power up page, featuring an animated logo. Select the language used for the onscreen Roku menu system. For Roku TVs, you may also be prompted to select the country you're in. Your country determines which features and services are available in your location, such as region-specific streaming apps. Connect your Roku TV, stick, or box to your network router for internet access. 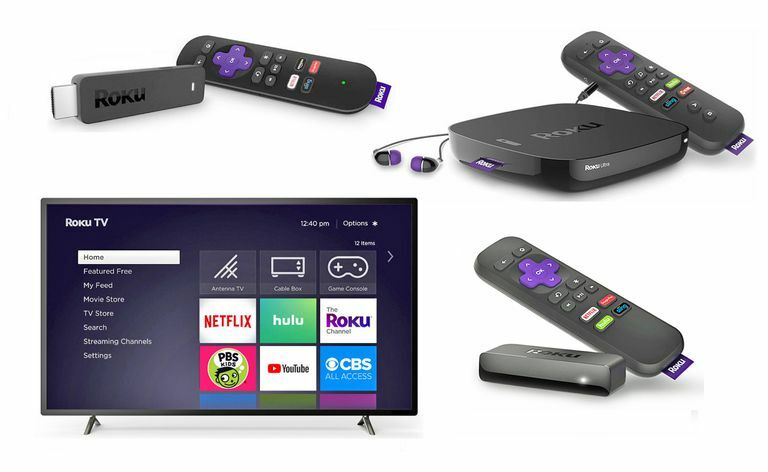 Roku streaming sticks use Wi-Fi only, while Roku boxes and TVs provide both Wi-Fi and Ethernet connectivity options. If using Wi-Fi, your Roku device will search all available networks. Choose your preferred network and enter your Wi-Fi password. Once your network connection is established, you may see a message that a software/firmware update may be available. If so, allow Roku to go through the update process. If using HDMI, the Roku device will automatically detect the resolution capability and aspect ratio of your TV and set the video output signal of the Roku device accordingly. You can change this later if you wish. This step is not included on Roku TVs, as the display type is pre-determined. Your Roku remote should work automatically, as you need it to perform the steps outlined so far. If it does require pairing, you'll see a notification and instructions on your TV screen. If you have a Roku Enhanced Remote that's provided with select Roku devices, the Check Remote Settings option will appear and automatically set up the remote to control the power and volume of your TV. To activate or change this later, go to Settings > Remote > Set up Remote for TV Control. Create an account by going to Roku's signup page. Create a username, password, provide address information, and also provide a payment method. There's no charge for using Roku devices, but payment information is requested to make it quick and easy to make content rental payments, purchases, or pay additional subscription fees through your Roku device. Once you've created a Roku account, further instructions will be displayed on your TV screen, including an Activation Code. Go to Roku.com/Link using a PC, laptop, tablet, or smartphone and enter the code number. You will see a message on the TV screen that your Roku Device has been activated. The Roku Home Menu will then appear and enable you to access the device operation and channels/apps selection. If the home menu does not appear, click the right arrow just to the right of the "All done" message. In addition to the above setup steps, Roku TVs have some additional required and optional setup procedures so it can be used with the rest of your home theater. Select Home Use: Unless you're setting up your Roku TV for use as a store display, select Set up for home use. What this does is set the default video settings to the typical lighting environment in a home setting. The store display setting maximizes the TV's light output, color and contrast settings to be more suitable for brightly lit store environments. Connect Your Devices: You can connect devices to your TV at any time, but you have the opportunity to do it all during the initial setup. Examples of input devices include a cable/satellite box, Blu-ray/DVD player, VCR, or game console; external audio devices include a soundbar or home theater receiver. Turn On Your Connected Devices: The Roku TV can detect some devices, so it prompts you to turn them on before proceeding. When you’re ready, select Everything is Plugged In and Turned On and follow any additional prompts. Assign Input Names: You can assign a name and icon to the device connected to each input. To do this, you can choose from a pre-selected drop down menu or select Set Custom Name to customize the input name and choose an icon from an available selection. The screen will also display a window showing the program playing on the device connected to the input. Use the up and down arrow buttons on the remote to scroll through the list, then press the OK button to make your selection. At the conclusion of the above steps, your TV might play a welcome or demo video. If you don't want to watch, press the Home button. Optional – Connecting an Antenna: If you receive the non-streaming portion of your TV programming via antenna or non-scrambled cable channels without a box, select the Antenna TV icon on the Roku TV's Home Screen. The TV will prompt you to scan for available channels you can view. Although all Roku devices share common setup and activation features, there are also additional settings that may be available on most players that can fine-tune your Roku user experience. Once your Roku streaming TV, stick, or box is set up, you can explore all the streaming content that Roku provides.